Best tips for Resident Evil 7. Resident Evil 7: Biohazard is not the easiest game to comprehend. Even worse, it might be the game that will make you go crazy. You wonder why? Only because it will be really hard to find the answers and continue the game without losing. For this reason, we made a deep research about the game in general and we found out some amazing Resident Evil 7 tips, which will help to overcome the mission more easily. Moreover, just remember, that you can try to play the game without reading our tips, however, if you won’t succeed in several times, come back and read them all. Firstly, lets speak about the Dummy Finger, which plays a really important role in the game. 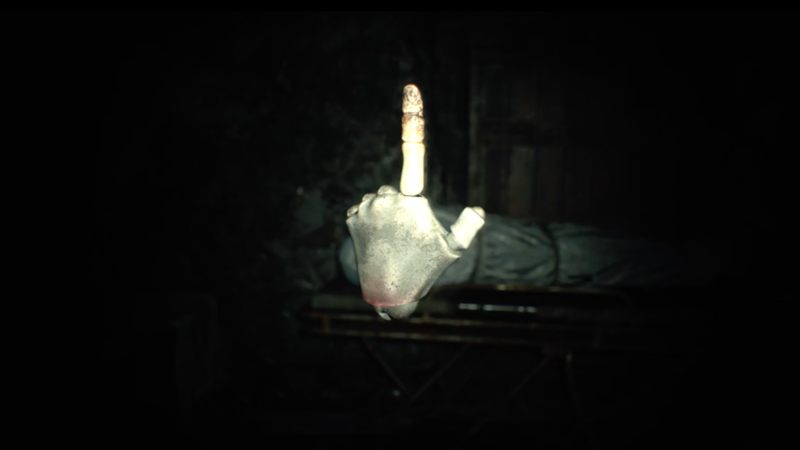 For a long time, Dummy Finger was the biggest secret in Resident Evil 7. However, after the “walkthrough” demo has shown up, it was easy to reveal its purpose and usage in general. Of course, some gamers have no idea what to do with this finger and how to find it even after playing the game for approximately one hour. If you are one of those, just keep in mind that Dummy finger will help you to solve all the five murders that was done in the house. Moreover, it will be a key, which will help to unlock the Dirty Coin item. Where should look for a Dummy Finger? 1. The Dummy Finger. Can’t see it anywhere around you? Just look in the drawers you see left in the hallway. It will lie on the left side, near the player room. 2. The Dummy’s Left Hand. This item can be easily found in the attic room. To leave some mystery and intrigue, try to find it yourself. It’s really easy and it won’t require much effort, when you know the room. Later on, when you will find it, join the Dummy Finger with the object made with Celluloid in order to make a full Dummy’s Left Hand. 3. Blank Notebook. Blank Notebook will be hidden in the drawers in the molded corridor. This corridor is also installed near a VHS player room. 1. As one of the Resident Evil 7 Tricks, this one is also very important. First, you need to act the same, like most of the gamers in demo version. To explain it step by step, you need to activate the hidden lever, which you can find in the fireplace. After that, just take the fuse you can see in the secret section. Later, place it in the wall, climb the stairs that you can see in front of you and call down the steps in order to get into the attic. After you succeed, exit through the door you see and take the basement key, which lies on the table. 2. Then, just do not think much and go back to the same downstairs. Climb down and co-operate with the main door, which is the enter for a new location and etc. 3. Take the key you found and use it to unlock the gates. 4. Now, you should focus all your attention, because it is almost the last step, which is also a little bit confusing. In order to reach the ending, you must escape from the monster you will face with. Where to run? Straight to the basement. Moreover, don’t forget to run out without getting injured or something. You still need to have some extra energy for further actions. Then, we highly recommend to collect the Valve Handle and go back to the same way, you just come from. Make a few tricks to output the monster of the balance and run away as fast as you can. Don’t relax, because after you will escape from the monster, Jack will be waiting for you. What you should do, is turn right and get the Attic window key that will unlock the shelf. Again, come back to the from door. Finally, just climb the same stairs you used before and use your taken key in order to escape. Of course, we could give another solution or Resident Evil 7 game tips for the final ending, however, we want to provide you with some extra time, in order to finish the demo version successfully. There are many different Resident Evil 7 tips that can help to stay alive. However, if you have no awareness and self-confidence even the best advices won’t give you benefits. So first, be sure you do your best while playing newly released video game and follow every tip we give. We all know that RE 7 is not the easiest game to comprehend. Actually, you can play it again and again without feeling the taste of victory. More precisely, this newly released game is based on the most frightening horror, where Baker’s family and other kind of creatures plays the most important part. In other words, their job is to find and kill you, transforming your body and soul into a zombie. For this reason, you need to use your ears throughout the game. You need to listen very carefully and try to hear when someone is coming. However, if you accidentally see the zombie or Jack coming to you, the best option is to hide and wait until they will walk away. Every detail, tool or item plays an important part in this game. 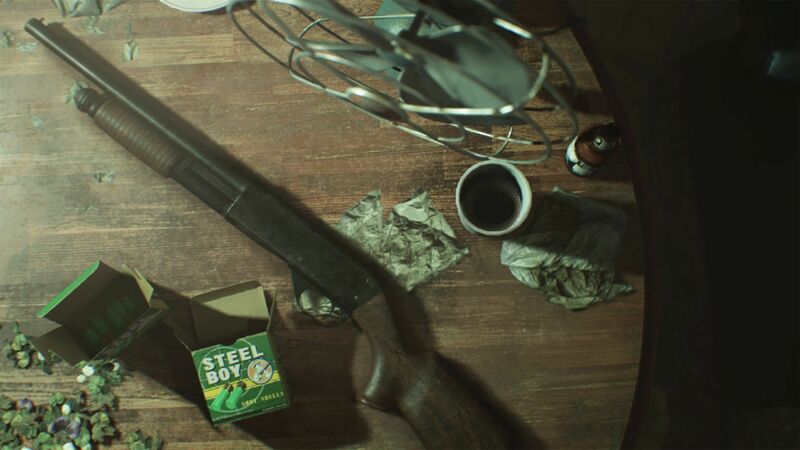 So the best Resident Evil 7 tips that you can use in this case, is trying to be focused as much as possible as well as find every single item. Why? As most RE games, Resident Evil 7 also gives you very limited resources that helps you to survive. For this reason, you need be serious and take everything you find straight to your bag. It can be various dolls, herbs, pictures, maps and etc. Just as it was expected, Resident Evil 7 house has different labyrinths and secret rooms that can cause difficulties. Especially, when you need to run from dangerous zombies or Jack and you have no idea which way to go. Luckily, the developers of the game is really kind and they included a handy map in the game. Firstly, the map can be used by pressing one button on the keyboard. Secondly, it shows the layout of the rooms. Maybe, you won’t agree with our third Resident Evil 7 tip at first, but you need to hear what we want to say in any case. Most possibly, you see many different articles that talked about some tips, which said to run out from the danger immediately after you face it. However, this time we want to confirm that not only hiding or running away works in this game. Sometimes you need to face your enemy and block him without no fear. Otherwise, you can be killed very simply. Imagine, you are hiding under the table, which is constructed between four walls. Suddenly, Jack bents down under the table and finds you. In this case, there can be only one and not so pleasant ending. You will be killed, because you will have no chance to run away.